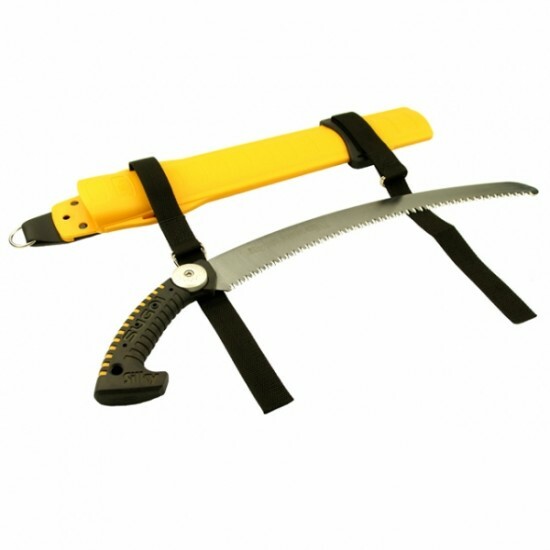 An incredible fast cutting saw for the professional arborist, with 6.5 teeth per 30mm. The SUGOI has a uniquely shaped curved blade with a non-slip rubber handle. The scabbard can be attached to the belt or to the leg by leg belts. The blades are sharpenable with a feather edge file and can be replaced simply by removing the screw.